Payreq enables invoice payers to receive invoices such as Council Rates and Water Bills directly into their MYOB In Tray. 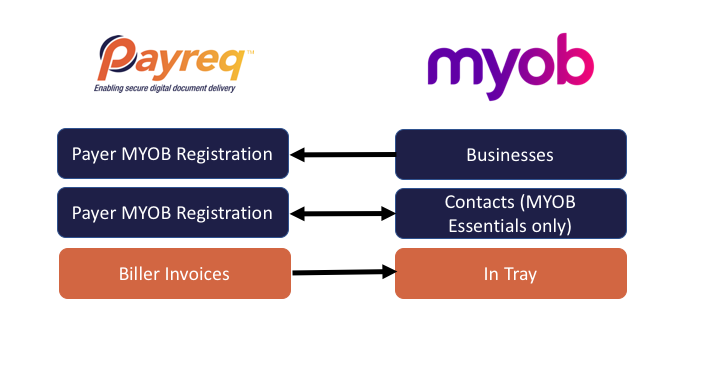 To receive an invoice into their MYOB In Tray a payer first registers to receive the bill and sets a number of fields required for an invoice in MYOB. Once the biller verifies the registration all future invoices will be sent directly to the payers MYOB Business In Tray.